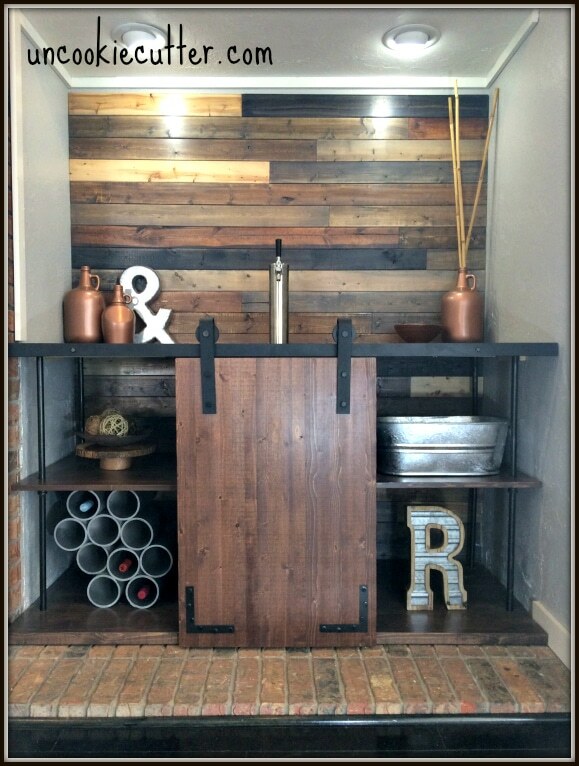 This Mixed Wood Wall has become my most popular post ever and we love using this bar area! 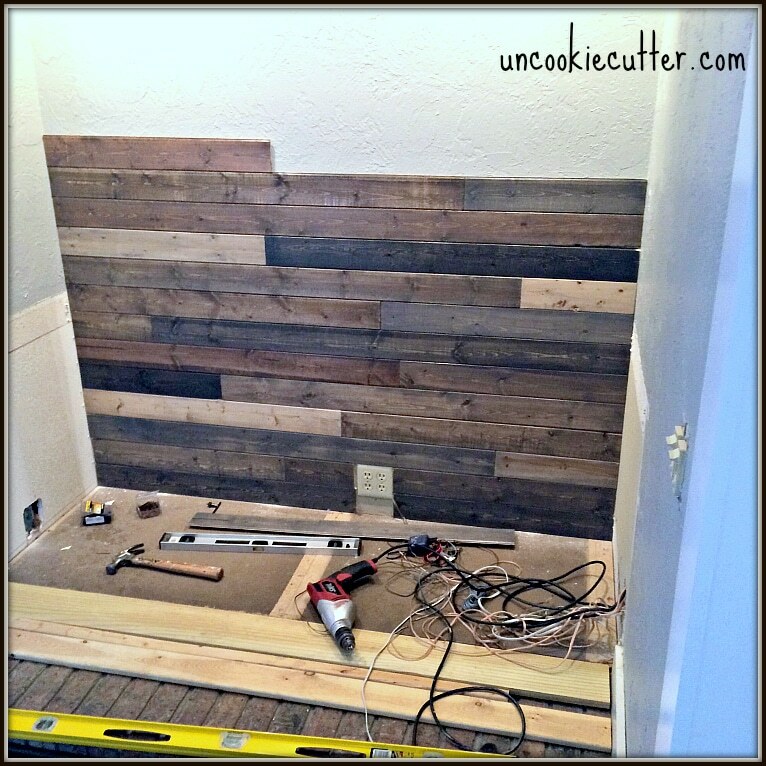 My mixed wood wall is a fun little project for you and a sneak peek into the new bar/entertaining area. I kept seeing those ads on Facebook for those beautiful mixed wood walls which I thought they were stunning, but alas, I don’t have the kind of dough it costs to purchase them. I was determined, though, and I wanted to recreate this look. 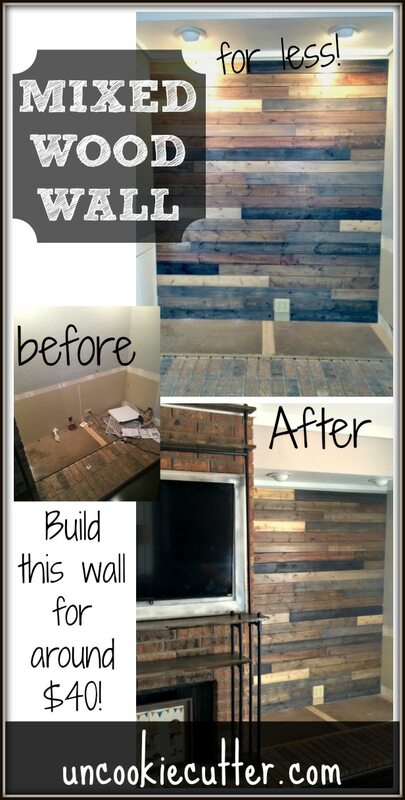 A simple solution would be to use reclaimed wood. Here’s the thing about that, though. I never have any. It can be hard to find. 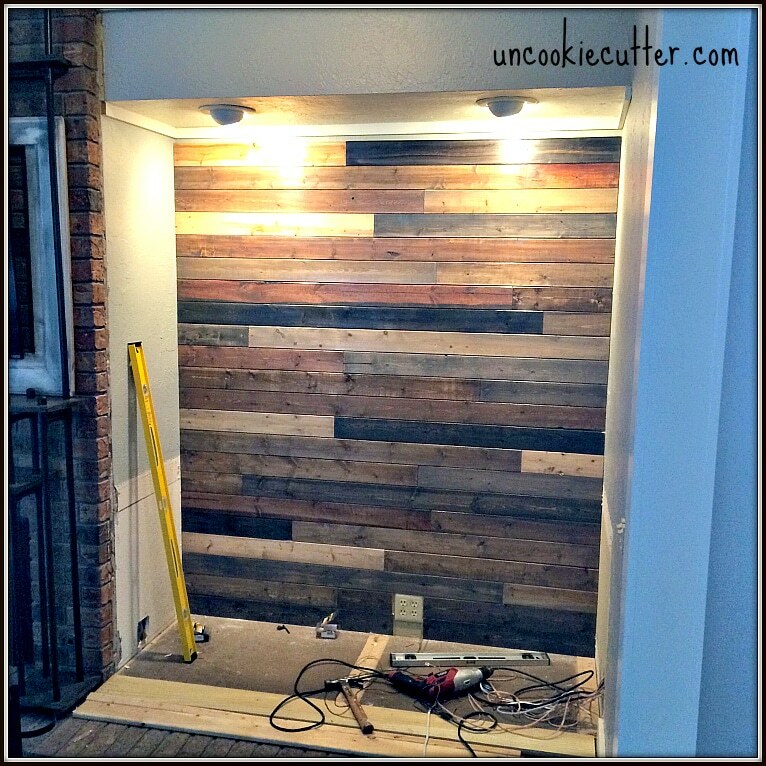 Sometimes when you want to finish a project you don’t have time to run around looking for reclaimed wood. 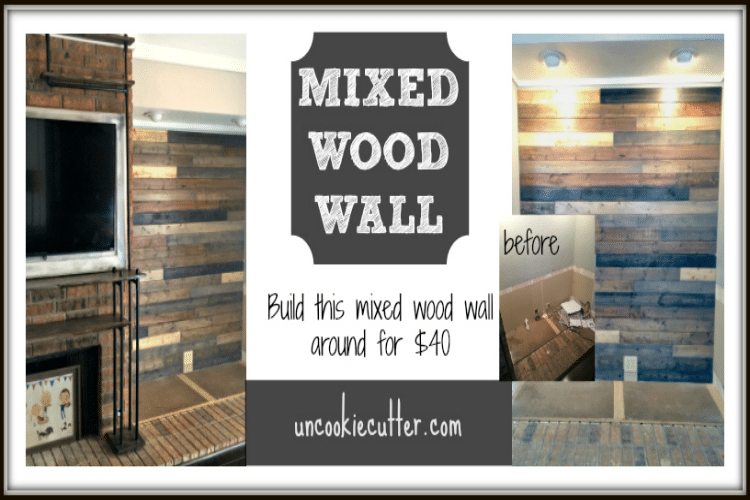 I wanted that mixed wood wall for easier and cheaper. So, here is what I did.This post is not sponsored, but I have included affiliate links for your convenience. You can learn more about affiliate links by reading my full disclosure policy HERE. I started by walking around Lowes, looking for inspiration. I found it in this economical paneling. They were on sale for $10 for a set of six. I grabbed 3 packs and took them home. I measured the space and cut them to fit, using different lengths for each board. After that I sanded them down. They didn’t need much sanding, they were pretty smooth, but at the ends where the I cut them needed a little bit. 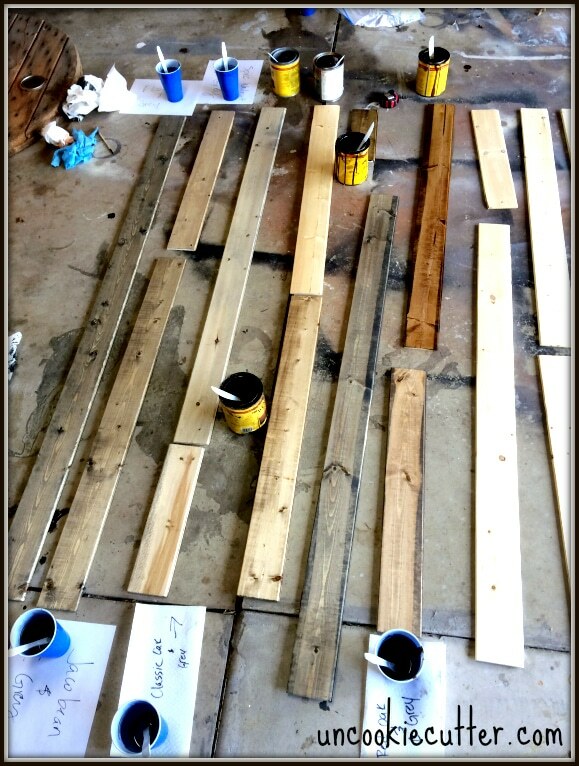 To create a mixed wood wall look, I got to staining. I wanted it to fit in with the greige walls, brick and metal surrounding it. I love mixing materials, in case you can’t tell. This was the perfect project to use leftover stain on. I started by mixing each color with Minwax classic grey. I used about a half and half mix. Then I started to apply the stains in a varying pattern across the boards. I did take pics of the differences in the mixed stains to show you what it looked like. I wanted a more industrial look, but you could easily go more heavy on the grey and even white wash for a more farmhouse look. Easy to play around with and great for getting rid of all those little bits of stain left over from other projects. I did two coats on each board, writing the colors on the back so I wouldn’t forget. Once they were dry, I wanted to bring them all together a little more. So, I mixed some classic grey with classic oak and added a little water to make a very thin glaze. 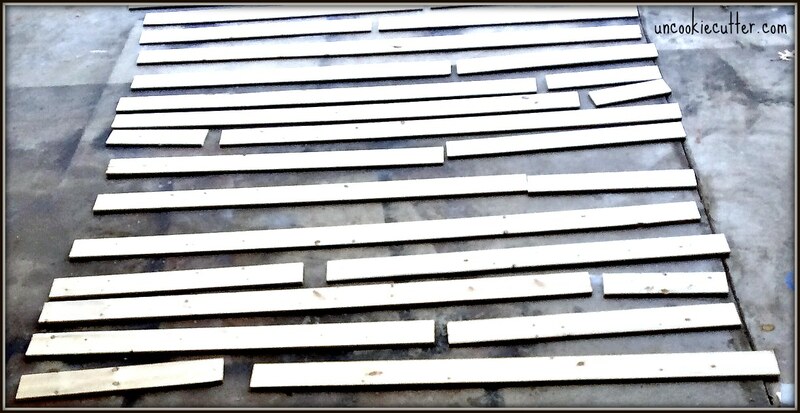 I applied the glaze all over all the boards and this helped to make them look a little more uniform. After this, I started to install them. They were so easy to put up. It took me about 40 min. Since they are paneling, they just have a little tongue and groove so they stack on top of each other. I bought two different colored paneling nails and found the stud lines. 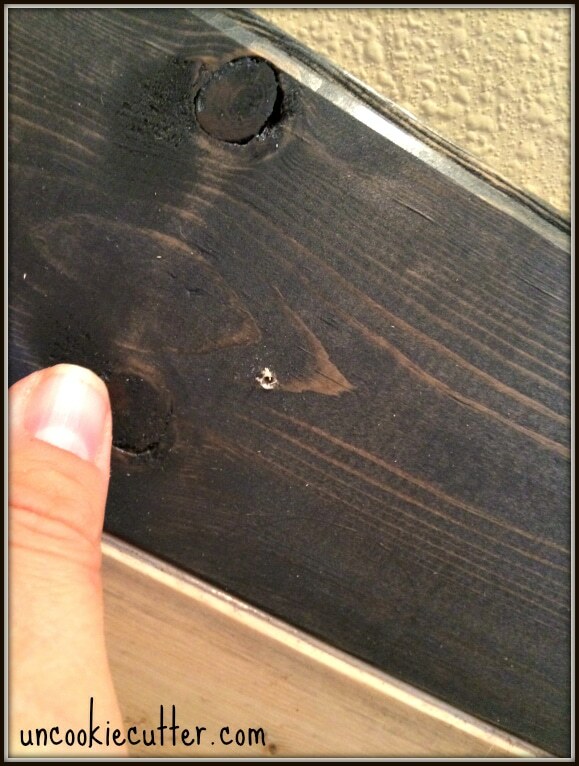 I drilled a small starter hole in the paneling. They are cheap panels, so I figured they would split pretty easily. Then I used the color nail that fit in best with each panel and nailed them to the wall as I went up. So easy! 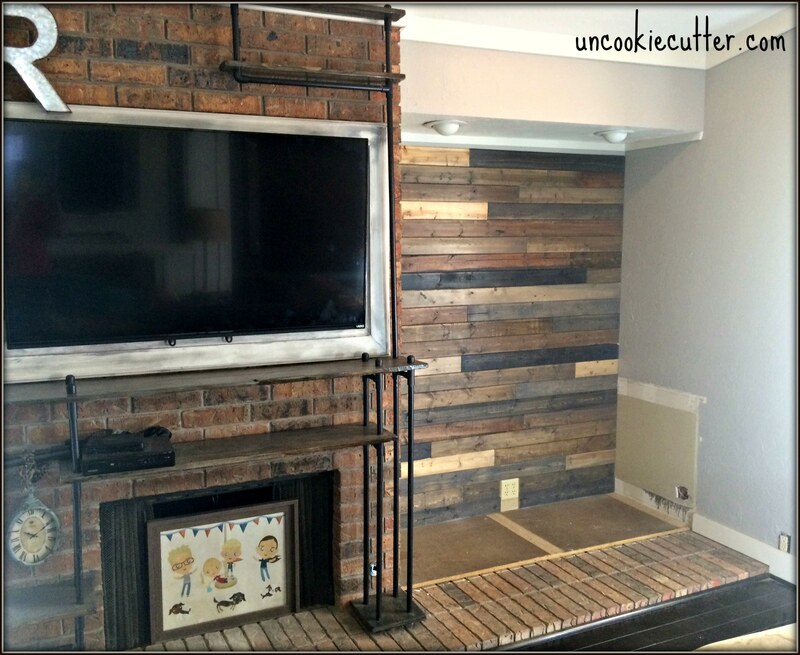 A mixed wood wall look that’s easy and cheap. So, that’s it! If you had told me I’d actually be putting wood paneling UP instead of taking it down, I’d have told you you’re crazy. But, if this goes out of style or I get tired of it, it’ll come down quickly without more than small nail holes. Can you paint over the stain? I’m sorry, can you paint over the wax? I didn’t know Minwax even made different shades. Hi Marilyn, I used Minwax wood stains – it’s a stain, not really a wax – and I painted over the stained boards with a couplelayers of Polycrylic. Thanks! This is waaaaay too cool! I absolutely love what you’ve done with this, especially at such a cheap cost! I totally need to try this for a table as a photography backdrop! Thanks Kimberly, that is a great idea!! I’ve been looking for an inexpensive way to do something like this also. Great job, pinning for reference!! Oh, I love this! I love how classy AND rustic it looks at the same time. Bravo! Look at you go! This is so great and I love the color combo your created. The perfect look for your home. I am planning on making this just above my fireplace but want it to look as modern as possible. What colors would you recommend? I’m thinking just maybe three shades of grey? Also, would it be possible to just use liquid nails instead of real nails? Hi Lulu! I think greys would be beautiful,especially if you are going for a light, modern farmhouse look. If you want uber modern, I think blacks and whites would be so cool. I’d love to see a picture if you do it! Liquid nails would work, but will do a ton of damage to your wall if you ever decide to take it down. Good luck! 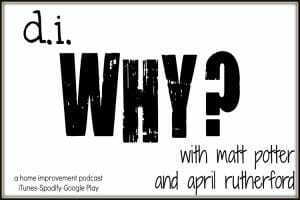 April…how big is the space you did? This is exactly what we are thinking of doing behind our couch. You always do such an awesome job!! Thanks Lori! It was exactly 39 square feet. I know because I priced out some other options, haha! Thanks so much!! I have ~ double that space I believe (76 sq ft if my math is correct 😛 ) Gives me a great heads up bc I was pricing things out too and the wall was coming out waaay more than I wanted to spend on a wall. Oh yeah, give this a shot! So easy and cheap! Those fancy peel and stick panels were going to cost me $600 for this space!! I love the color combination you chose! It’s a great accent wall! Oh no! Can you strip it? Might have to use paint over it, not sure stain would work at this point :(. I used them all. That swatch is actually a pic I took of the panels I put up. I just mixed every color with gray so that they would blend together. so you only used the grey mixes? Sorry, no I was remembering wrong – I used all the colors and the mixes. The swatch is my actual boards with the colors listed on the side. I did go over with a light grey stain wash to blend it all. Thanks for stopping by Alex! This is so pretty! I love the wood stain mix so much! I love that you used different stains for some cool variety! And two different colored nails is a very professional touch:) Nicely done!! Oh my goodness, that looks great!!! Thank you Carlee! Can’t wait to get it finished! Looks AMAZING! I want to do this! Thanks for making it easier! This wall turned out beautifully! 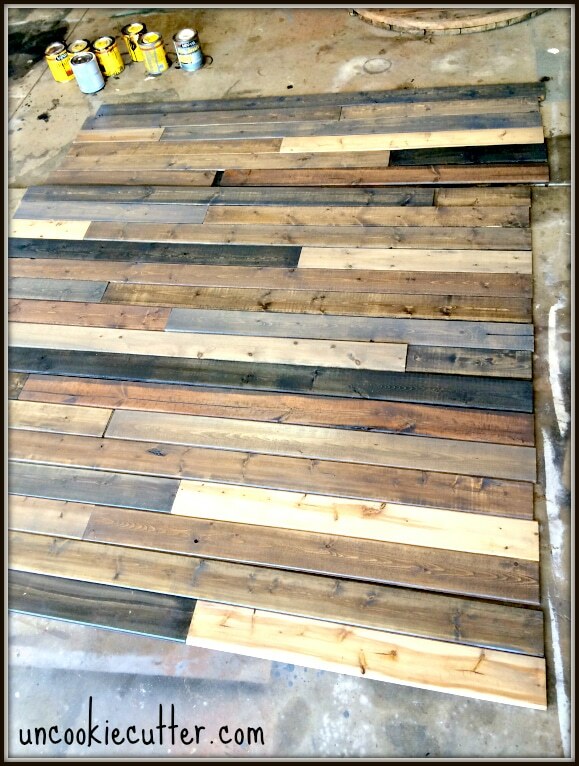 I love how you created the look of reclaimed wood with new wood (that didn’t cost much $ at all!) Job well done! This is seriously cool! Pinning to share! Thanks so much Hollie! Glad you stopped by! WOW! April you are down right amazing! This wall is gorgeous! Thanks for sharing how you did it and at such a price! You really are the DIY Queen! 🙂 Definitely pinning for future use. This looks awesome!! I love the mix of stains – it gives the wall so much texture and visual interest. 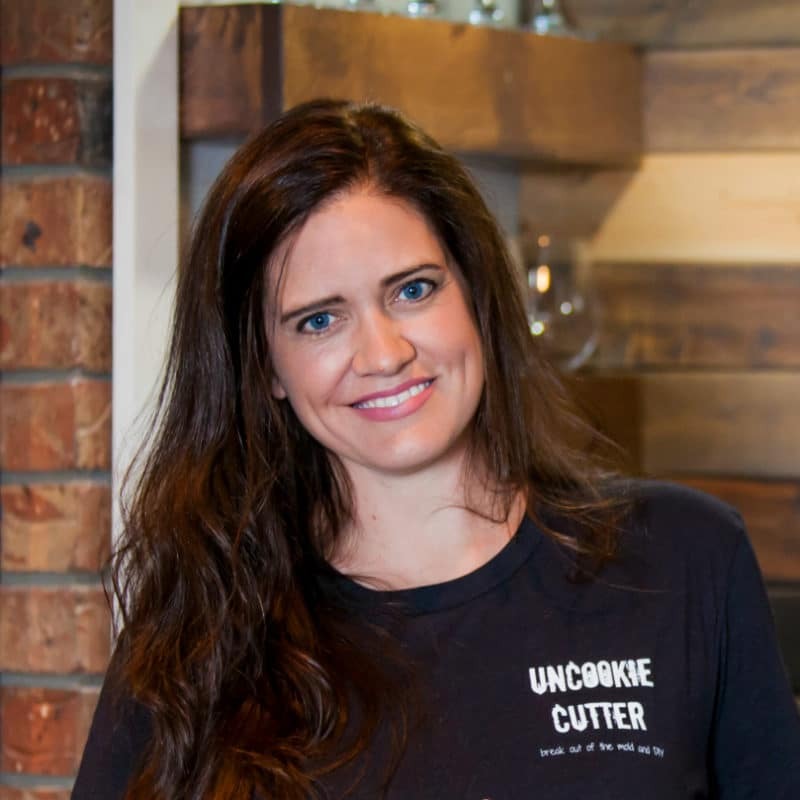 Congratulations on being the most-clicked link at last week’s Creative Spark party! I was so excited to see that! Thanks again so much! Wow this looks amazing!! I cannot believe how cheap it was to make too. I love wood walls it adds such a great feeling to a room this is no exception! Thanks for linking up with Inspire Me Monday. Have a great weekend! What a beautiful wall! Thanks for sharing with us at The Creative Corner! Wow! I love the look of the wall. Very creative! Mixing wood to give that look was a great idea. And at $40?! It’s like wooooow!!! I love this! I have a question – On the boards that you used two stains did you use any certain percentage when combining (ex: 80/20, 50/50, 60/40 etc). Specifically I am looking at the Red Oak/Grey combo. Hi Elizabeth! I used about 50/50 on all of them, but just freehand-ing it. No measurements. I loved the Red/Oak grey combo so much I did the entire top of the bar that color to match. It was my favorite! Thanks for stopping by! Hi Delene! So glad you found me. I usually use polyurethane, but with these I used a spray poly (like spray paint). Just depended on what it’s going to be used for. If it’s a flat surface that has a chance for liquids to be spilt, then go with regular poly. If it’s like this were it is vertical, the spray should work just fine! Sounds so cool, would love to see pics when you’re done! I love what you do with the wood this is what am looking for to finish my bedroom thinks. That sounds awesome, thanks for stopping by! Just came across this. I love it! We want to do a small wall where our TV is. The wall juts out so I don’t want to use anything too thick. How thick is the paneling? Thanks Patty! This particular paneling was very thin, you could snap it in half even. I think you could use it and maybe just try a little piece of trim on the edge. Would love to see it when you are done! This is amazing and exactly what I am looking for on my tv wall in the basement. 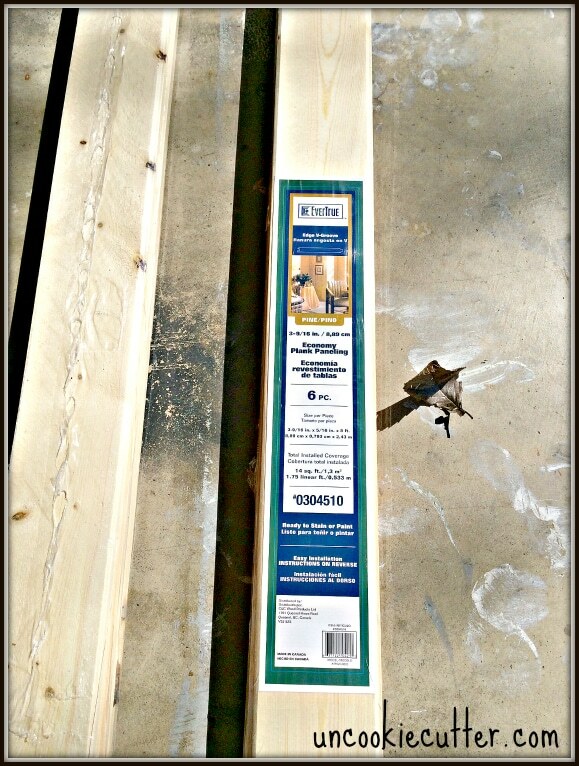 What part of Lowes did you find these boards in? I am going to start it ASAP! Awesome! In my Lowes, they were on the very back wall, next to all the trim work. Good luck and I’d love to see a pic when you are done! Just an amazing project! Thank you for sharing the color combinations chart! I am going to try this for a ceiling and possibly walls. 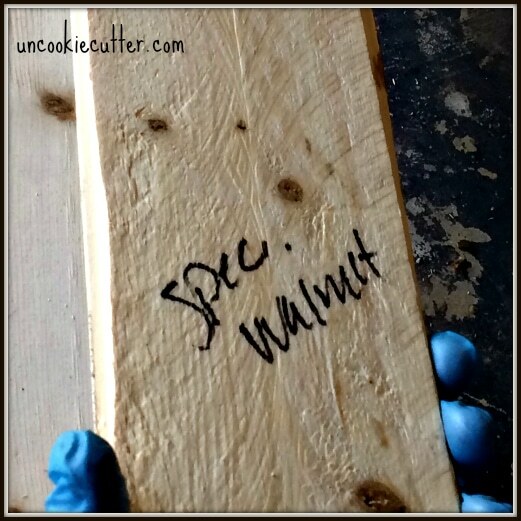 One question – I’ve been told that if you paint/stain just one side of the board or panel, the wood will eventually “cup”. Did you treat both sides of your material? If not, have you noticed any bowing in your wall? Thanks for any info. Hi Bev!! I have never heard that, so I only did one side :). So far no problems, but since it’s it’s nailed in hopefully it wont’ be a problem. Thanks for sharing that tidbit, good to know! And thanks for stopping by – I’d love to see a pic of your project when you are done. Hi Michelle! I used a rag – I almost always to with stain. I really try and rub it in and feel like and I have way more control over it with a rag. I didn’t really have to sand these particular panels much, just at the cut edges. I did stain them all before I hung them, which was way easier. I bet a ceiling would look amazing like this! Good luck (send me a pic if you like)! April, we love this idea. Were going to do this for our living room wall. The wall we are planning on doing has our TV mounted on it. 10′.8″ x 10′.8″ (116.64 square footage). Hi Jason. It really didn’t take that much stain, I think two of each color (and more gray if you are going to mix it) would be plenty. I did nail them into the studs, cause I figured why not, but I don’t know if it’s necessary. I would just drill starter holes either way, because it did seem like the panels would split easily, because they were so thin. Thanks for posting this. I don’t usually make comments but I copied your project and it was the perfect road map for creating a cool looking wall, and it was very inexpensive, so I wanted to say thank you. FYI – I build a 7×7 ft moveable wall in my basement. I mounted the planks to a plywood wall using 1/2 inch crown staples from my nail gun. I also hit the planks with a hammer to “distress” the wood before I stained it. It worked really well and I love the look. That’s awesome Travis, thanks for commenting! I would love to see the pic if you have one handy. Sounds awesome! Love the look. Thanks for sharing. I want to do this to one wall in my office. You should! It was super easy. Good luck! I have several cans of another stain not minwax will it still work? Also after I stain do I seal it? So mix all 3 stains with half gray and then do boards with the stain alone? Then the watered down glaze? Thank you this is exciting. I don’t think it would be a problem to use whatever stain you have on hand. I would seal it, especially if you are using it in an area where it could be splashed or exposed to water. Have fun! !